Apple is set to shut down its MobileMe services next month on June 30. If you are a current MobileMe member, or more likely an iCloud member, you have been aware of the upcoming transition for about a year. 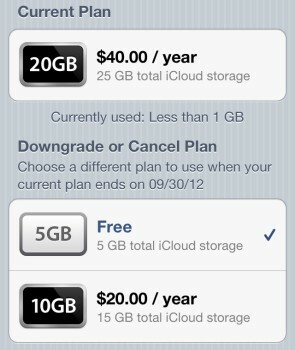 However before the shut down, Apple has quietly decided to extend the free period of 20 GB of extra iCloud storage (you already have 5 GB to start), which was given to previous MobileMe members, until September 30, 2012. MobileMe members with 20GB of purchased storage receive a complimentary iCloud storage upgrade of 20GB, and accounts with additional purchased storage (40GB to 60GB) receive a complimentary upgrade of 50GB after moving to iCloud. 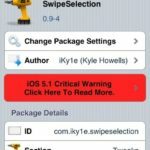 These free upgrades are good through September 30th, 2012. After that date, you can continue the upgrade at the regular price or let it expire and use the free 5GB plan. For most users, 5 GB will be enough after the 20 GB expires. However, as noted, users will have the option to upgrade as needed.